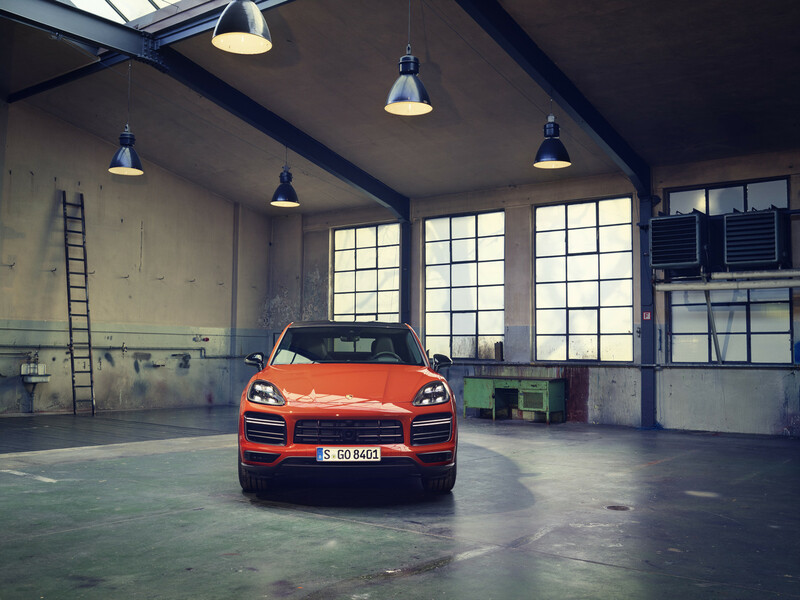 With the Cayenne, Porsche has invented the sporty SUV. 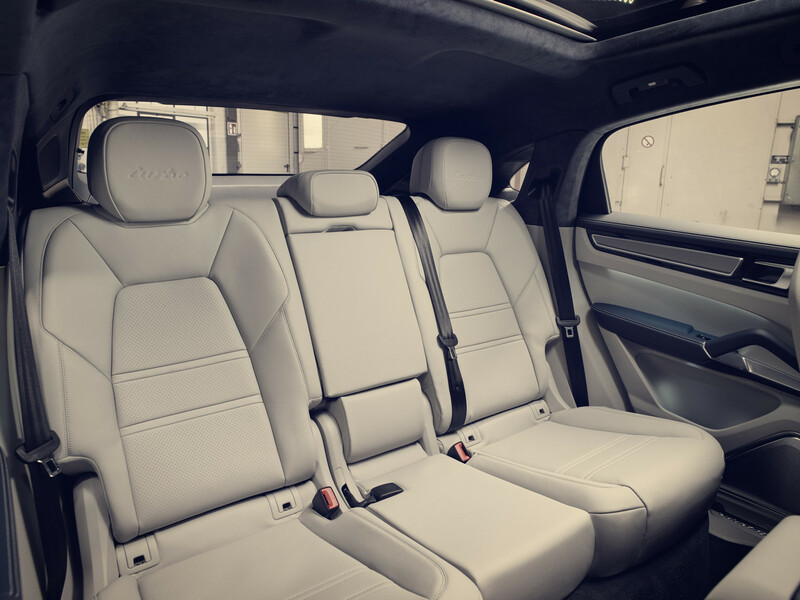 But the SUV coupe was invented by BMW – more than a decade ago, with the X6. 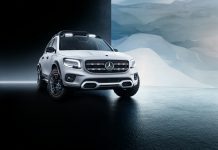 Since then, BMW has taken the concept one class below, with the X4, and Mercedes-Benz has followed with the GLE Coupe and GLC Coupe. 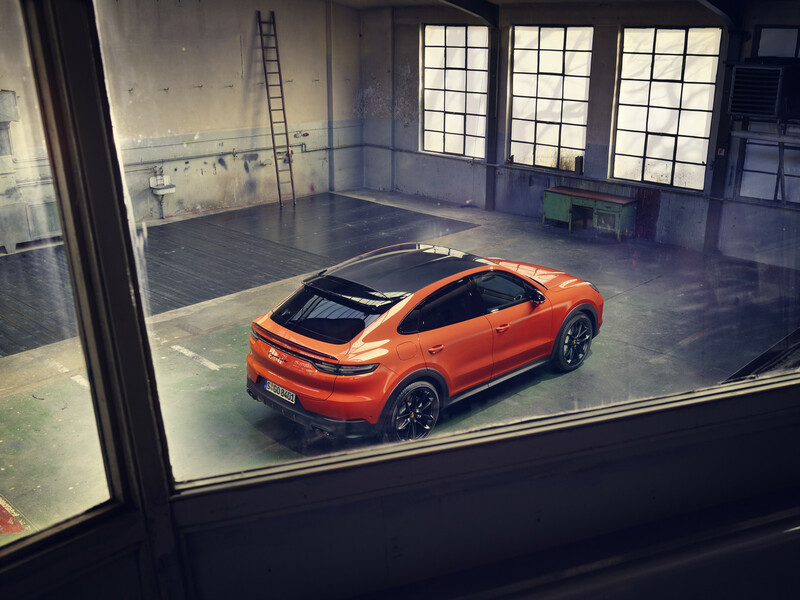 Even Audi has launched a sporty SUV – in the form of the Q8. 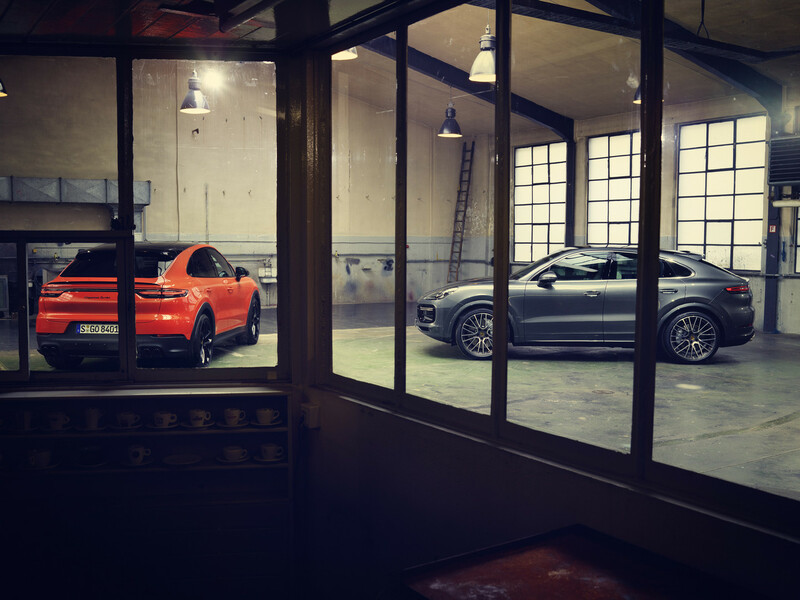 But now Porsche wants to best them all – with the new Cayenne Coupe, which launches tonight. 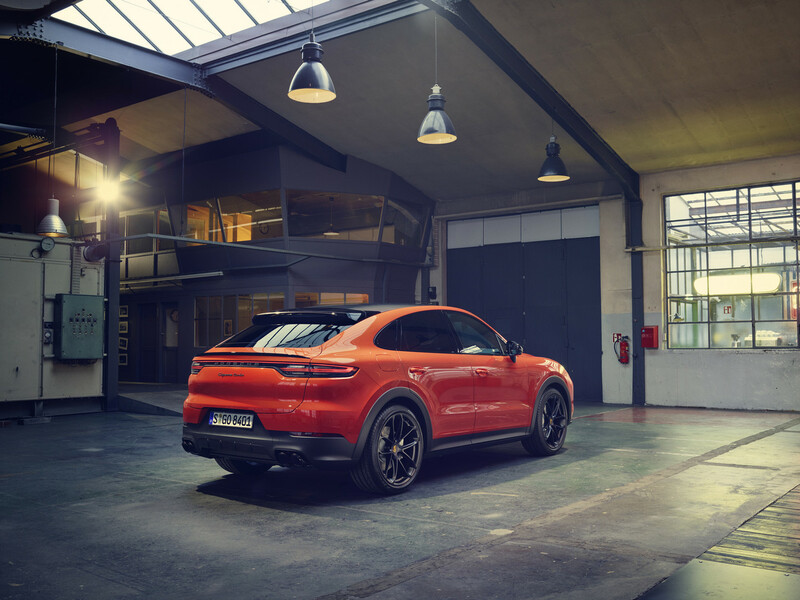 Porsche has kept the sporty front end of the regular Cayenne intact, the differences begin with the A-pillar: The windshield has a lower angle, the roof describes a graceful arch and ends in a relatively low tail. 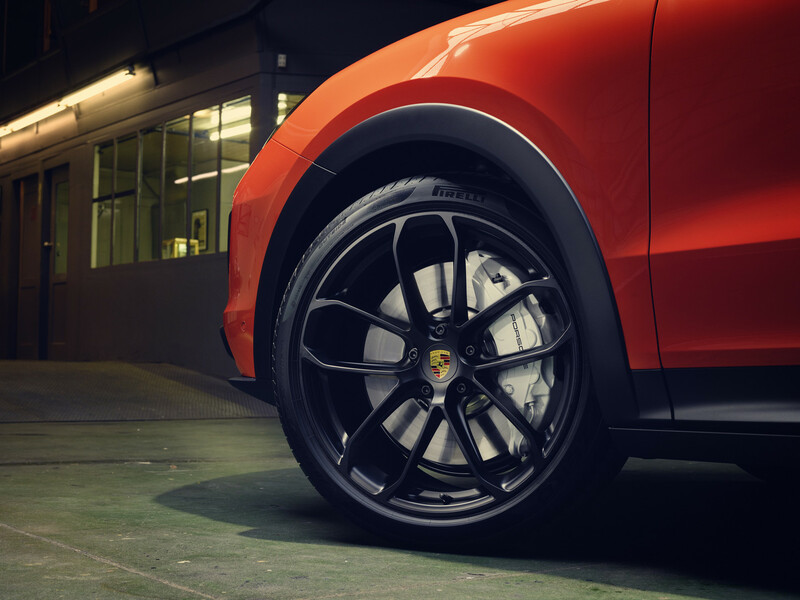 The rear doors and fenders are pushed out to cover a wider track. 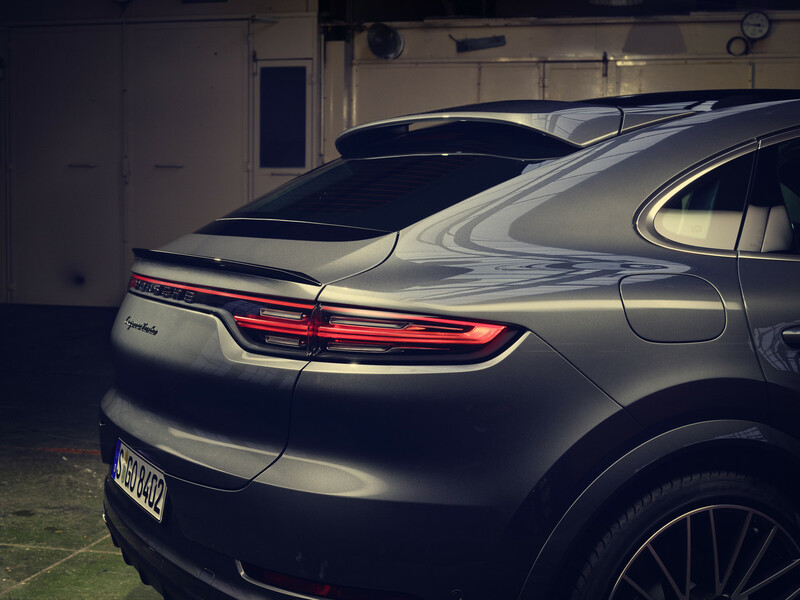 And the side windows are shaped like the 911’s, even though the Cayenne Coupe is a four-door SUV. 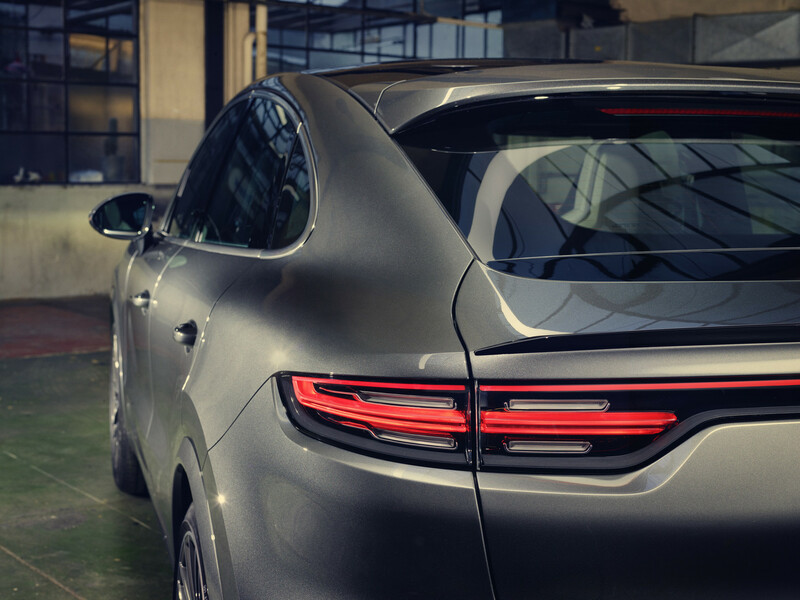 The overall effect is successful, almost spectacular. 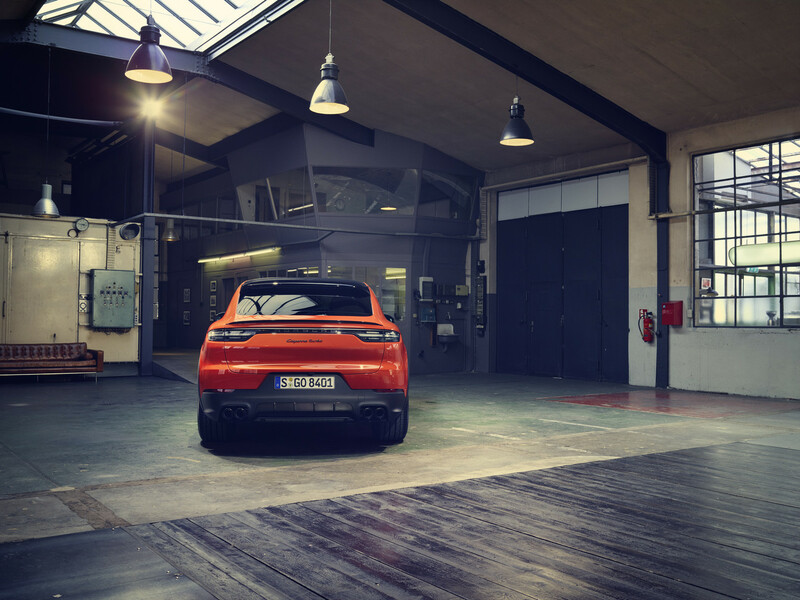 Visually, there is not a sportier SUV on the road. The Cayenne Coupe oozes 911-ness and brand heritage. 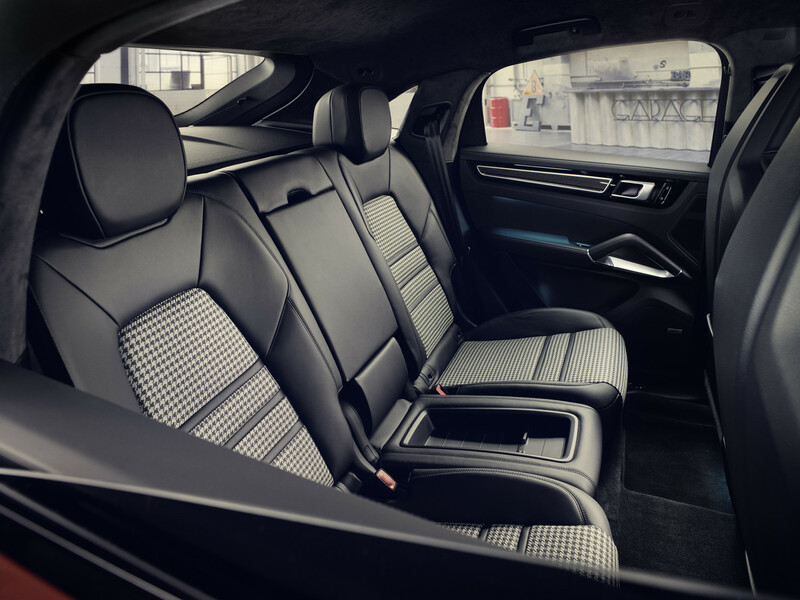 Despite its relatively low-slung looks, there is plenty of interior space. 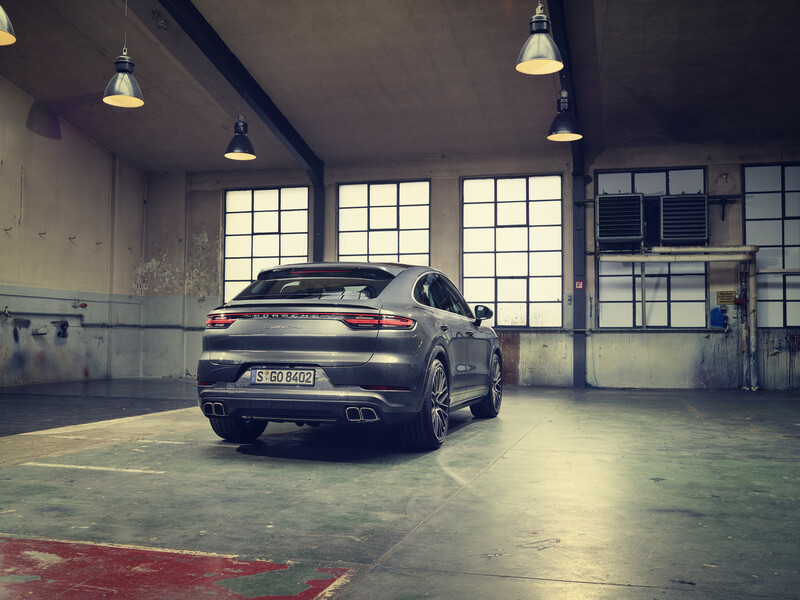 In fact, rear headroom is virtually identical with the regular Cayenne. 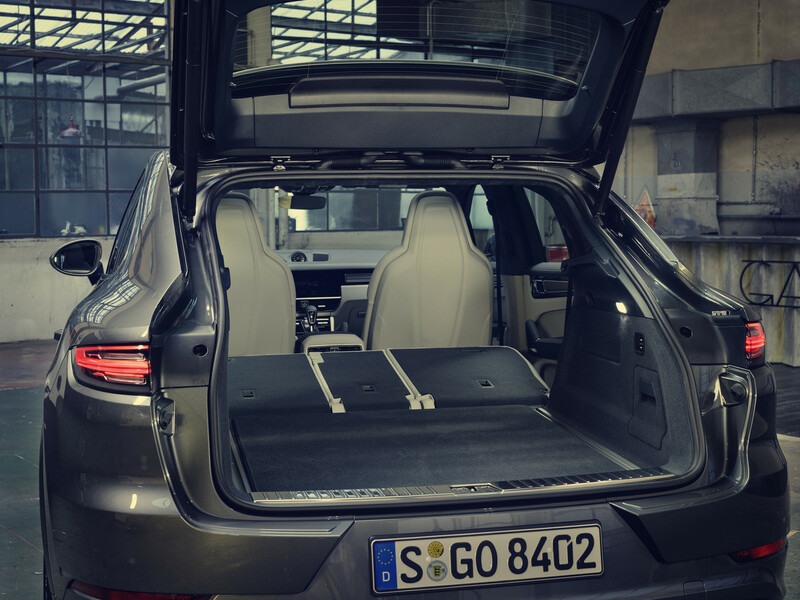 You sit perfectly in all four seats (a regular three-seat rear bench can be specified, too), and the trunk shrinks just moderately. 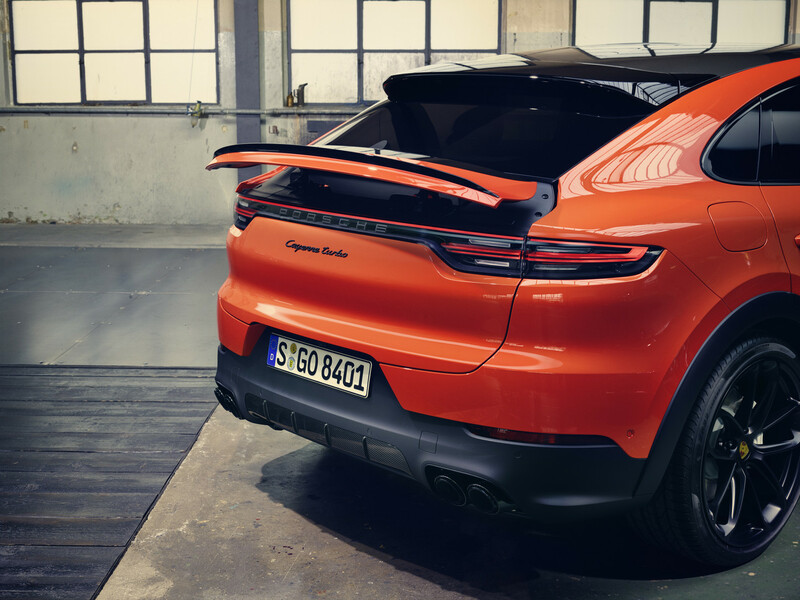 But to achieve this much space while keeping a beautiful silhouette, Porsche has resorted to three tricks: First, the rear seats are now fixed in a slightly lower position instead of laterally moveable. 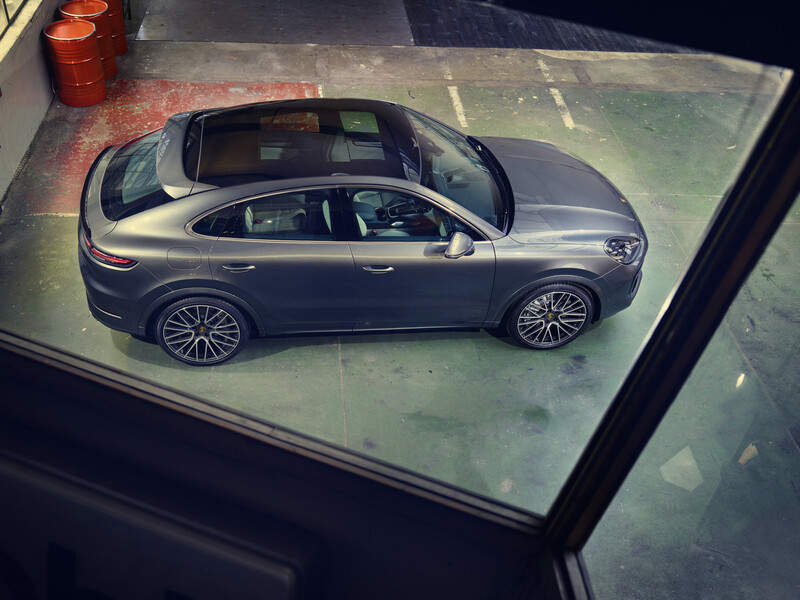 And second, the Cayenne Coupe actually features a somewhat bulbous roof. 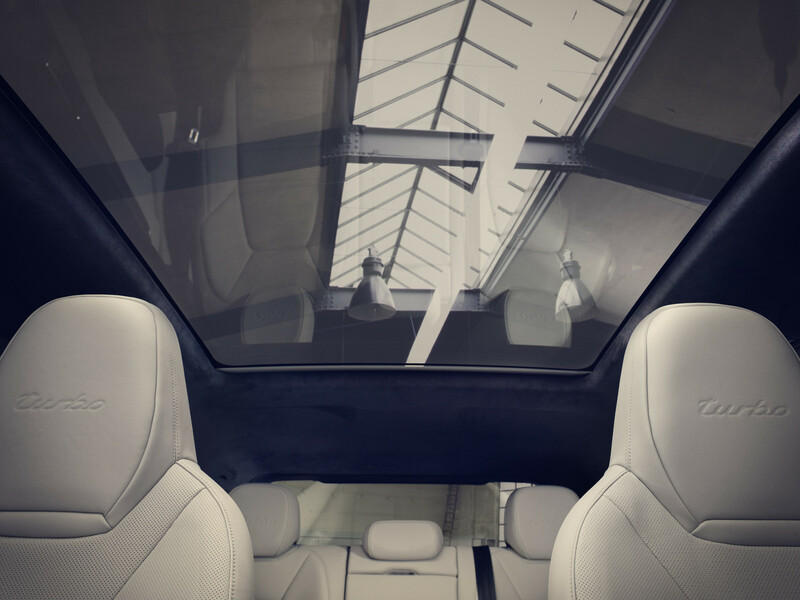 But this fact is masked, because it appears glossy black: A vast panoramic glass roof is standard – and a glossy carbon-fiber roof is available as part of a very attractive light-weight sport package. 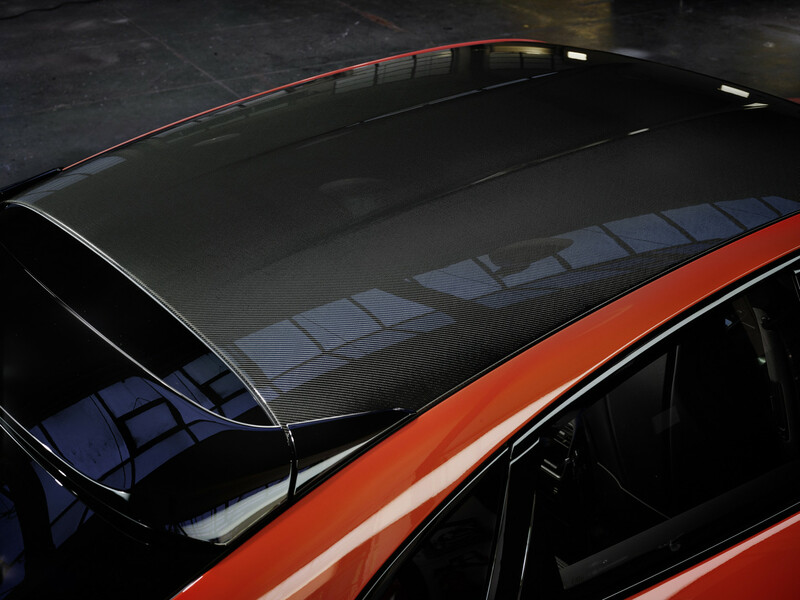 Thirdly, there is a very prominent roof spoiler that actually has purely cosmetic function. 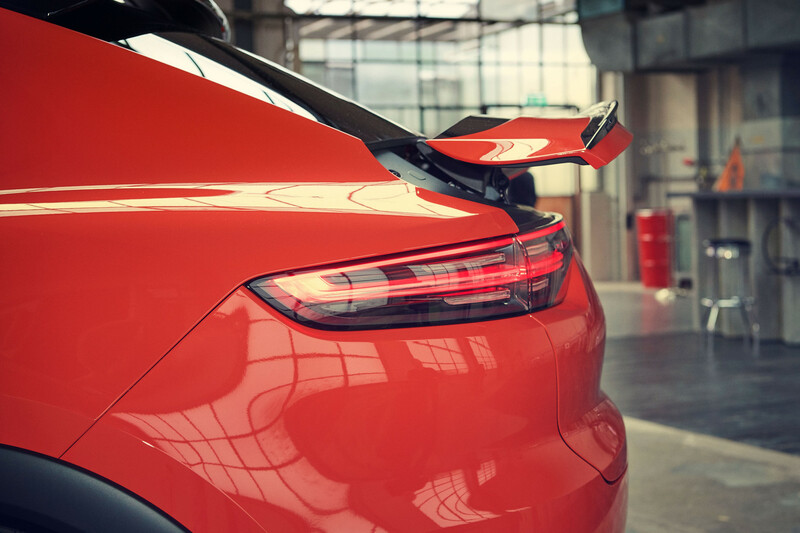 The spoiler that’s actually functional sits lower: The area above the taillights can rise up like on the 992 or the Panamera, and it’s graced with a slim Gurney flap. 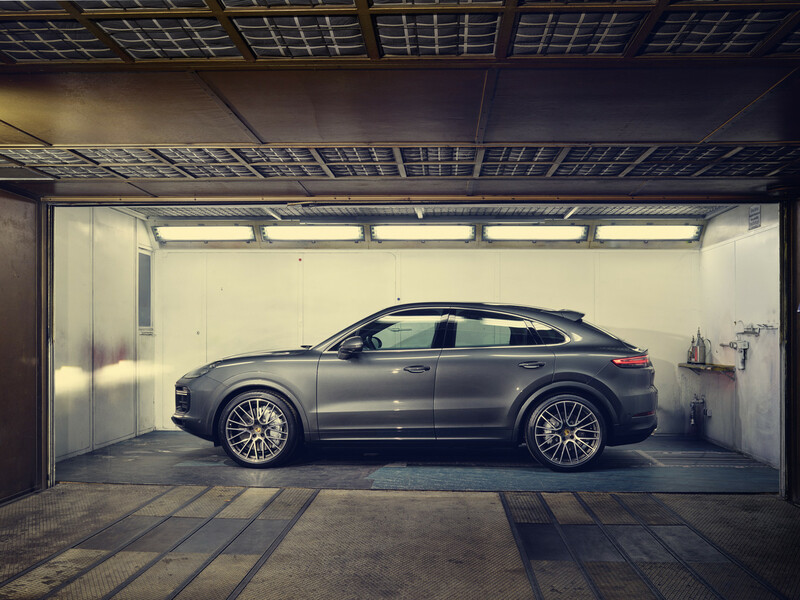 And it is needed because this is an extremely fast SUV. 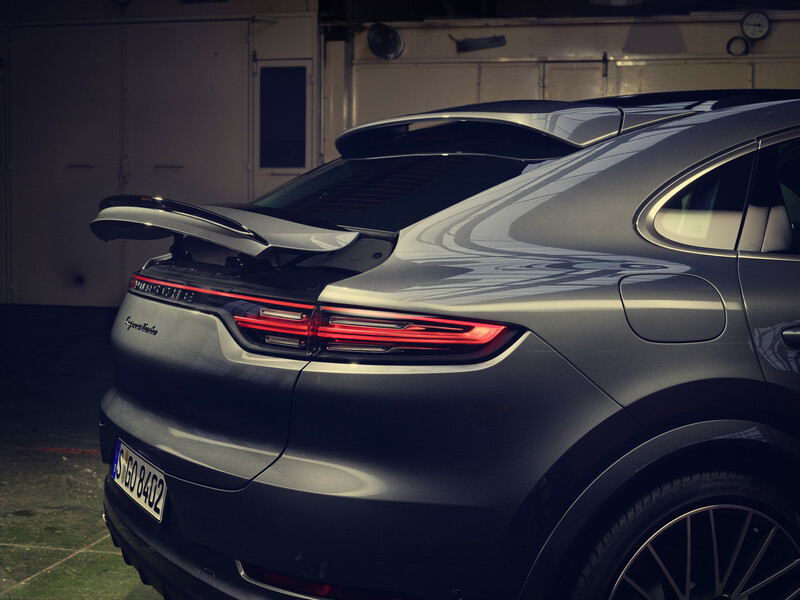 Even the standard version, powered by a 340-horsepower 3.0-liter V-6, can manage 243 kph. 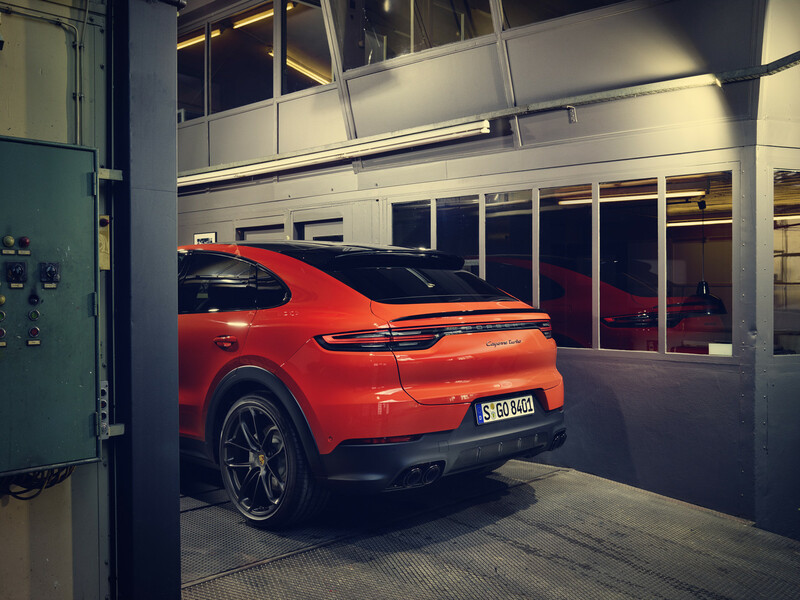 The top-of-the-line Cayenne Turbo Coupe is fitted with a 550-horsepower 4.0-liter V-8 for a 0-100 kph sprint in 3.9 seconds and a 286 kph top speed. 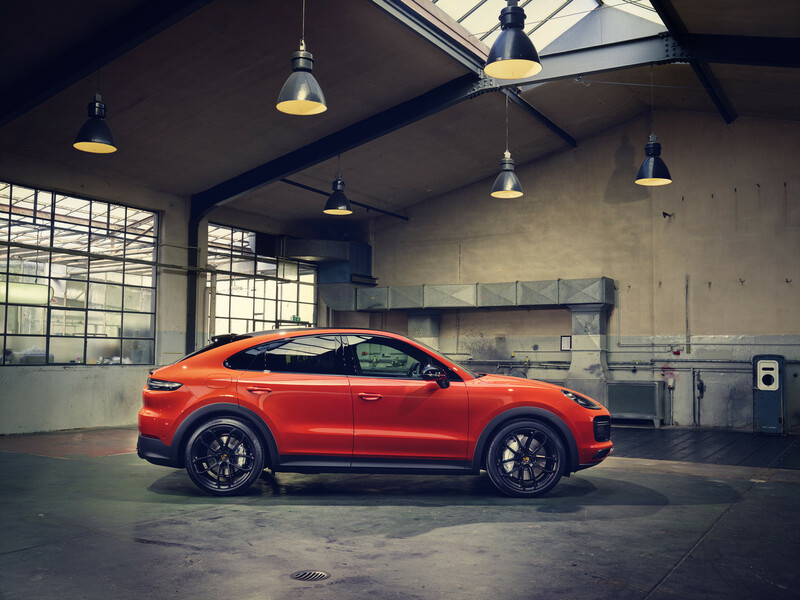 Down the road, Porsche will offer a Cayenne S Coupe with a 440-horsepower 2.9-liter V-6, and there will be both a V-6 hybrid with 462 horsepower and a V-8 hybrid with at least 680 horsepower, like on the Panamera. 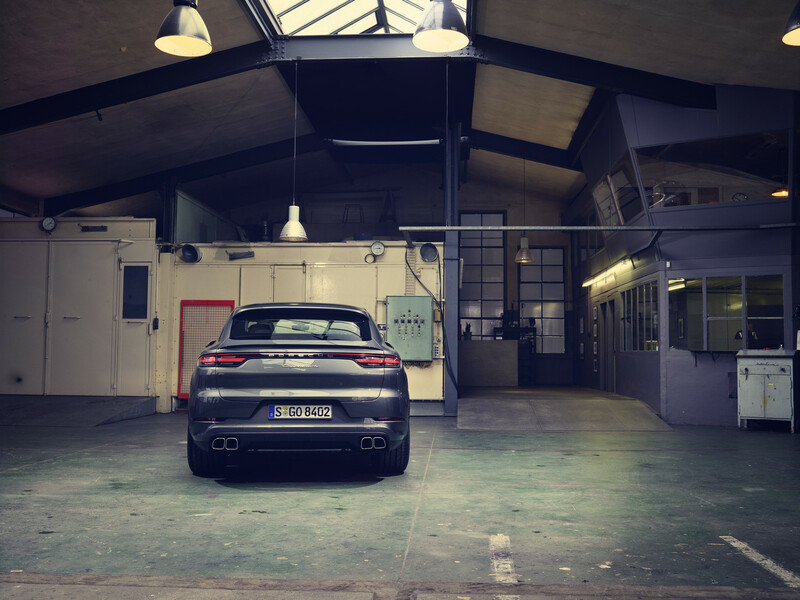 Sadly, there will be no diesel. 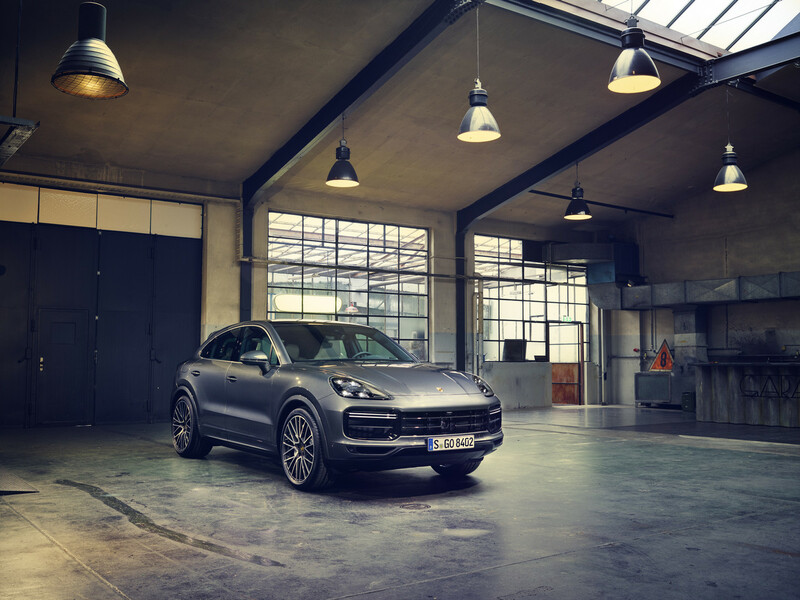 Originally, the Cayenne was supposed to be offered with a V-6 and a V-8 diesel, before the brand’s questionable decision to kill all diesels and emphasize electrics. 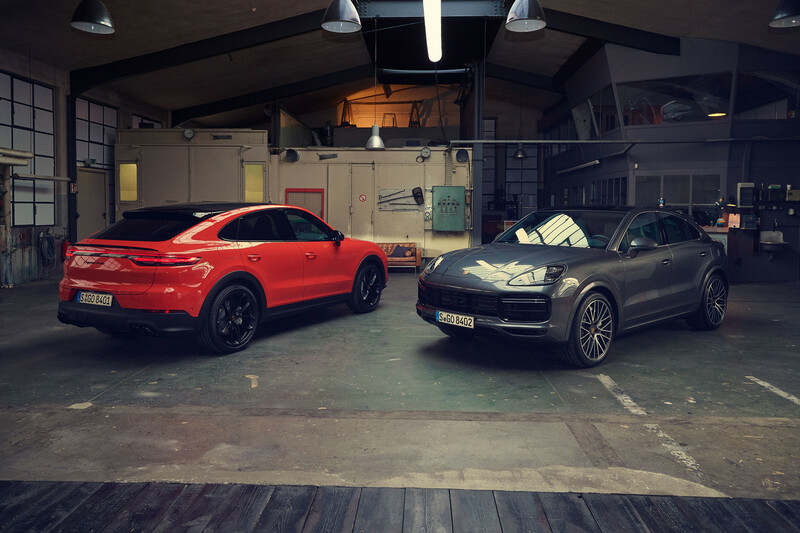 The Cayenne Coupe models will come to market in Europe in mid-May; the US will have to wait until mid-October. 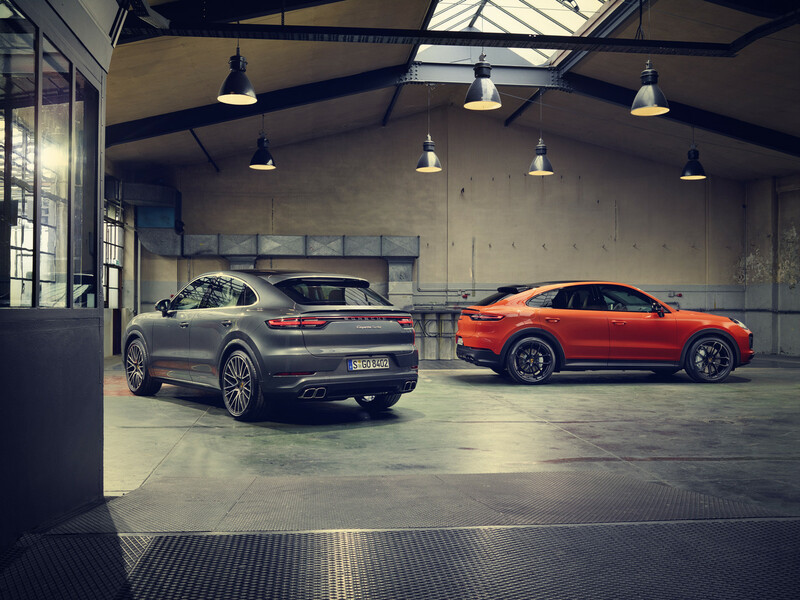 Prices in Germany are 83 711 and 146 662 euros for the regular and the Turbo models; the US prices are USD 75 300 and 130 100, respectively. 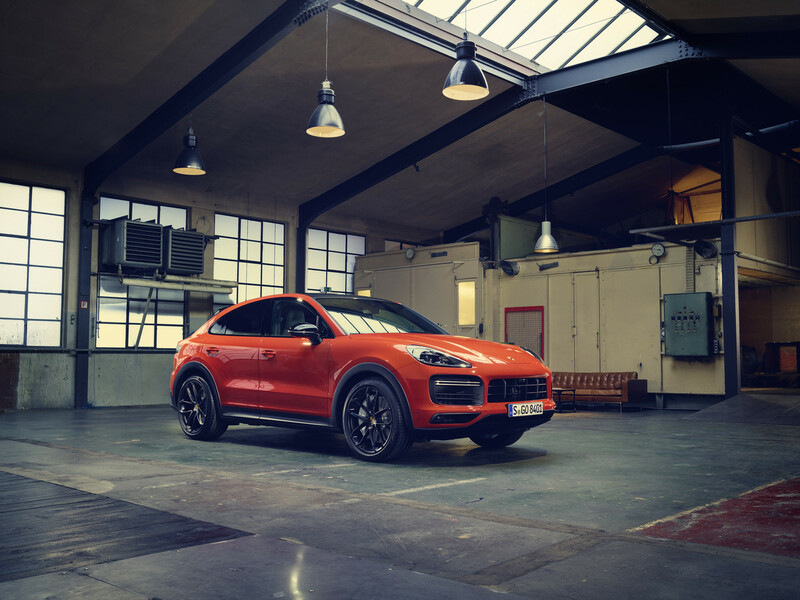 Considering the Sport Chrono package, large wheels, the panoramic glass roof and a few other goodies are standard on the coupe, the decision whether to opt for a regular Cayenne or a Coupe amounts to a matter of taste. 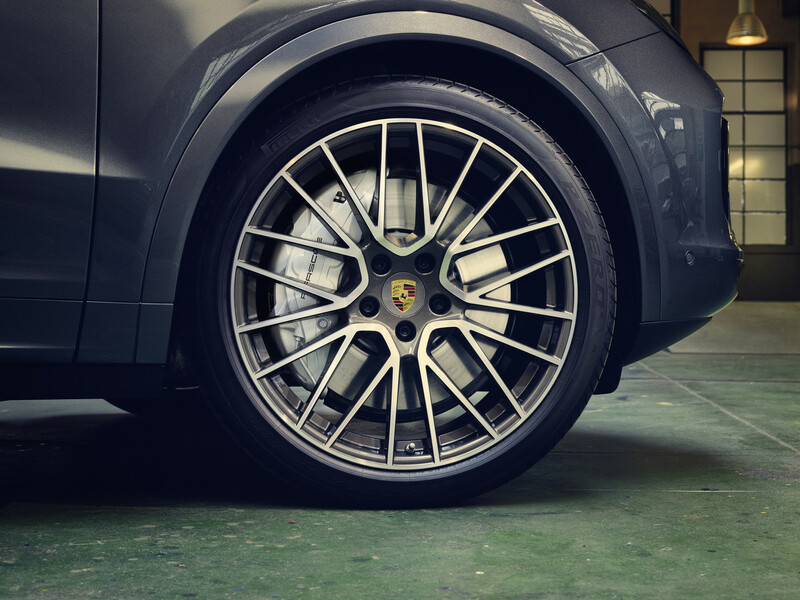 For us, the choice would be clear. 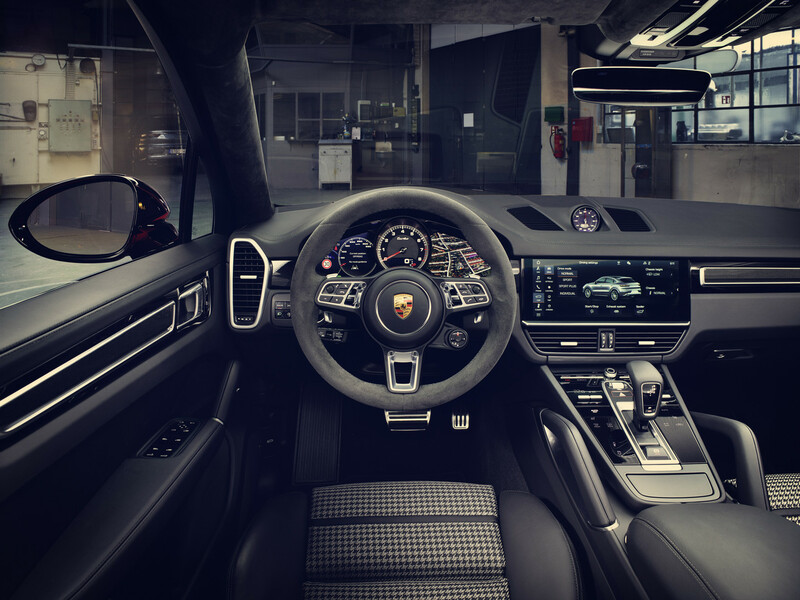 This is the 911 of SUVs.